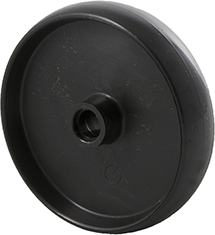 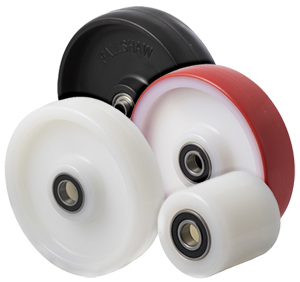 Nylon, PVC, pallet truck wheels and pallet rollers. 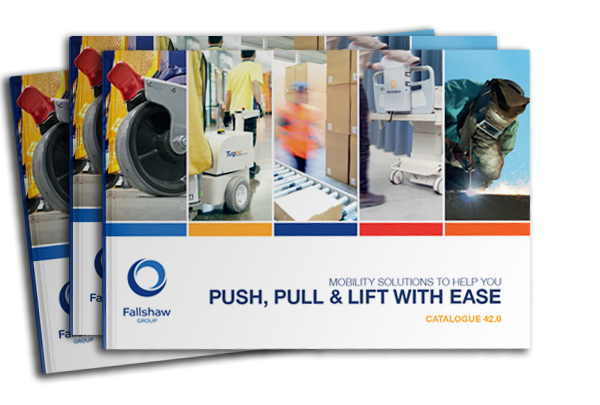 Applications include pallet trucks, scaffolding, mechanical handling devices, trolleys, toys, lawn mowers, BBQs. 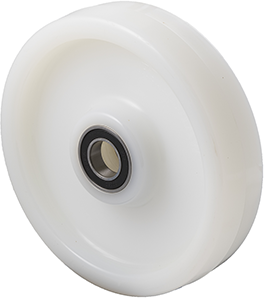 Hard nylon, plain bearing, no thread guard. 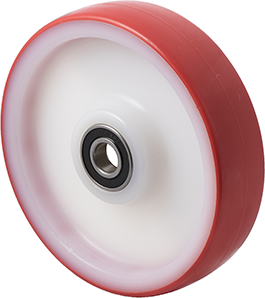 Hard nylon, precision bearing, no thread guard. 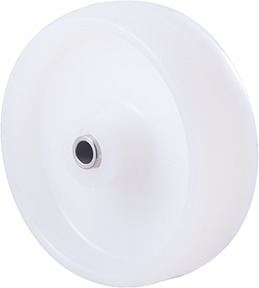 Hard white nylon, precision bearing, no thread guard. 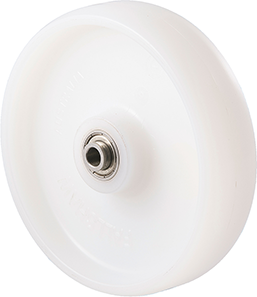 Hard white nylon, plain bearing, no thread guard. 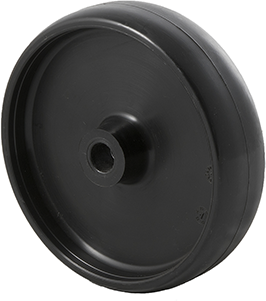 Hard nylon, roller bearing, optional thread guard (add "G" to the end of the order code for optional thread guard, eg JNR100G). 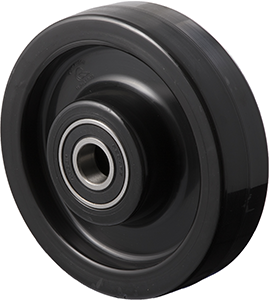 Hard nylon, roller bearing, no thread guard. 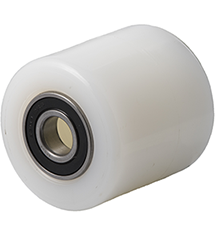 White nylon, available in 20 mm (Q20), 25 mm (Q25) and 3/4" (Q34) precision bearings, or no bearing (NB). 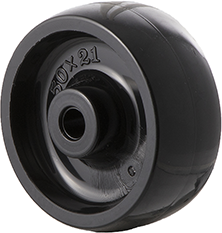 Polyurethane on nylon, available in 20 mm (Q20), 25 mm (Q25) and 3/4" (Q34) precision bearings, or no bearing (NB). 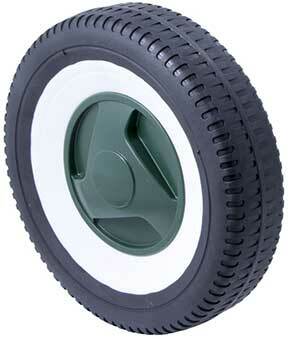 Thermoplastic Elastomer (TPE) flat profile tyre with plain bearing. 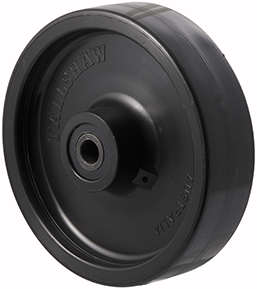 Suitable for lawn mowers, barbecues and equipment needing a flat profile wheel.